At the 2015 420 Worlds in Japan this summer, national stars Daichi Takayama/Syota Nakano swept the board to lift the 420 World Championship title on their home waters. Less than six months later Daichi Takayama is giving Japan’s top 470 sailors a run of their money, finishing 6th at the All Japan 470 Championships with new crew Akira Takayanagi. 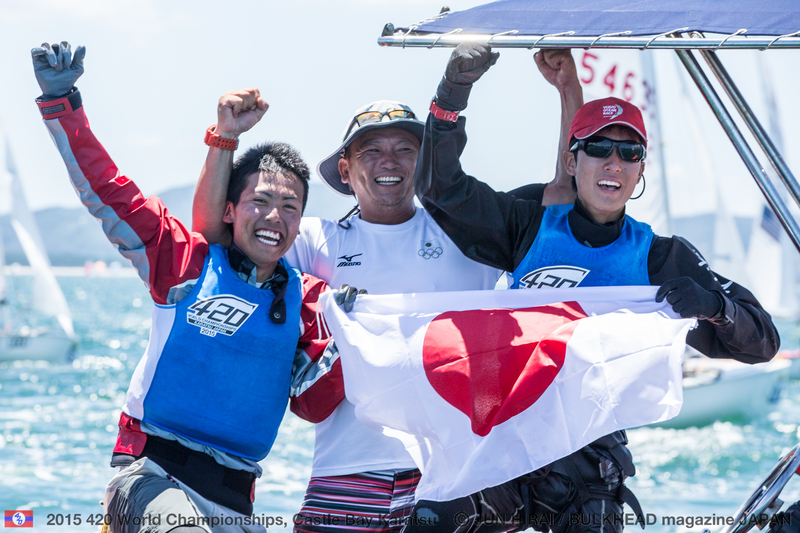 Returning to his victory at the 420 Worlds, over six days of racing Daichi Takayama/Syota Nakano stepped up to the challenge and achieved the goal they had set themselves of winning won gold on their home waters. Both sailors transitioned to the 420 after several years racing the Optimist Class. A successful career before his 420 Worlds glory, Takayama’s path included seven years of Optimist sailing, counting two appearances at Optimist Worlds, as well as representing Japan in the Laser Radial at the 2013 ISAF Youth Worlds. Switching to his 470 career, Daichi Takayama has partnered with Akira Takayanagi, a new partnership on superb race form over the 10 races at the All Japan 470 Championships. They won race 3 over both of Japan’s men and women Rio 2016 Olympic teams, and counted a string of top 10 places, including a 6th in the medal race. Hosted at Sakaiminato Marina, from 17-23 November 2015, the All Japan 470 Championships attracted seventy-three of the best talent, including twelve women's teams and forty-five junior teams, under the age of 24. An intense series saw every condition thrown at the sailors, from light breeze to full-hiking over waves. An extremely talented Optimist, 420 and now 470 sailors – a young talent to watch.